This installation is a physical drawing. 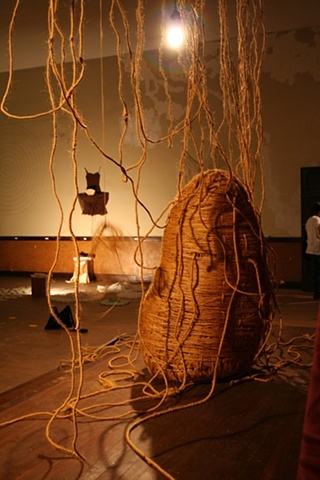 I draw with hemp wrapped around wire and combine it with diverse materials to create an environment in space which has symbolic meaning. This work also refers to the fragile and dynamic nature of our individual and collective experience, memory, and societal history. We live in a physical emotional landscape.